Children should be involved in at least one art form as it contributes to their happiness. And when combined with learning, it must never be ignored. 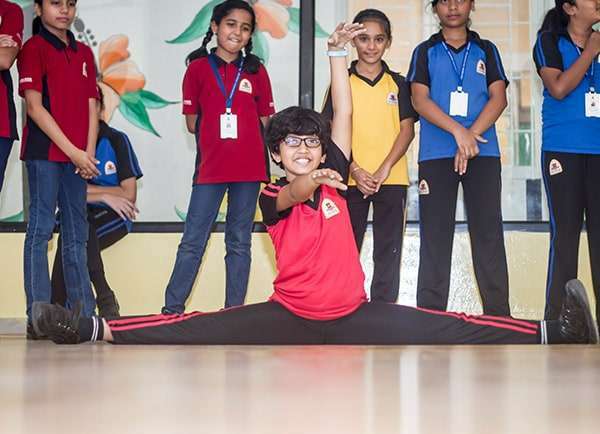 At ORCHIDS, we believe dance is an integral aspect of a balanced education programme. It is a unique way of enhancing creativity, confidence, and expression in a student. We have introduced an entire curriculum on kinesthetic learning to make sure our students get the best chance at improving their body and mind coordination, bringing a balance to their lives. ORCHIDS Dance Curriculum(ODC) introduces Physical, Mental and Social Attributes on a wider scale. It teaches them flexibility, strength, endurance, balance coordination, etc. both physically and in terms of a life skill. Motor skills development : Increased range of movement, body awareness & coordination, building muscle memory and flexibility in the students. opinion, an absolute non-judgmental environment which helps to create confident movers. Brain development : Involves movement designed to promote brain development (Brain Dance By Anne Green Gilbert & Carla Hannaford’s Theory of Child Development). Usage of music and lyrics with concepts that are understandable. For example – Story of a tree growing. Introduces a huge bank of movement vocabulary through the concept of Elements of Dance (body/energy/space/time). Introducing basic Jazz syllabus : Polishes Good Posture, Performance and introduces Jazz terminology-Jazz fist, blade, hands etc. 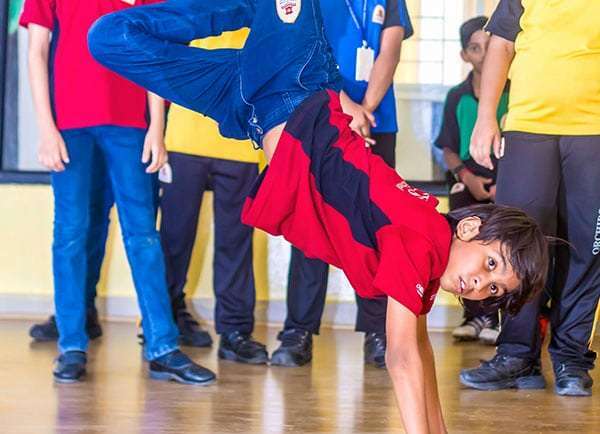 The Dance curriculum for the Secondary classes of Grade V to X takes a step forward to advanced training as per the age group being covered in the curriculum. Each dance form and activity has been allocated different weeks and broken down into steps in order to cover every aspect of every form and take out the best of learnings that we have to grasp. The Class structure covers everything from warm up, isolation, footwork etc to flexibility cooldowns. The similar structure is formed for every dance form. We have taken into account each element of dance, Body / Action / Space / Energy / Relationships. The last week counts for a showcase week, where all the efforts are put to presentation in Mega Events. My Dance Book is an initiative for all to jot down their experiences and learnings as reflections. Our Dance curriculum is unique for each age group and each dance form. We move forward with proper assessments and a strategize curriculum, always ready to be upgraded with the latest trends and teaching methods with the help of our highly trained professionals. We have designated dance rooms as comfortable space, and dance teachers to help our students express their feelings through movement. We have various talent events throughout the year that allow our students to explore their interests and aim for better challenges.